We love to be involved in our community. Soroptimist of Fallon volunteers on every 5th Monday at the Fallon Daily Bread. Pictured are Brenda, Teresa, Sue, and Kathy preparing to help local citizens get a warm meal and see a friendly face. 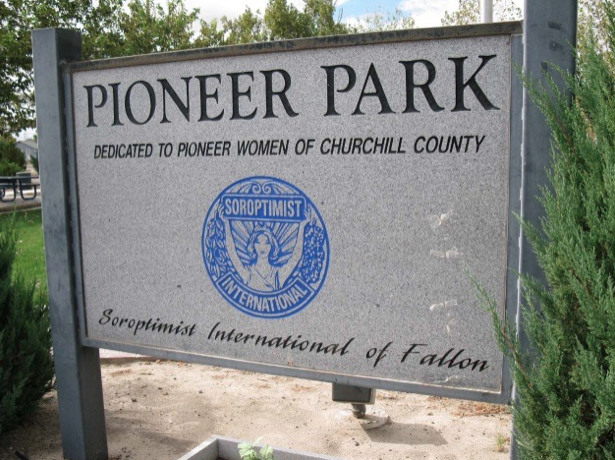 Located at the corner of North Maine St and D St, Pioneer Park was founded by SI of Fallon in 1997, dedicated to the Pioneer Women of Churchill County. Join us this summer as we celebrate 20 years. Monica, Dallia, Chancy, Andrea, Teresa, and Sue at the Development Retreat in Reno, July, 2018.